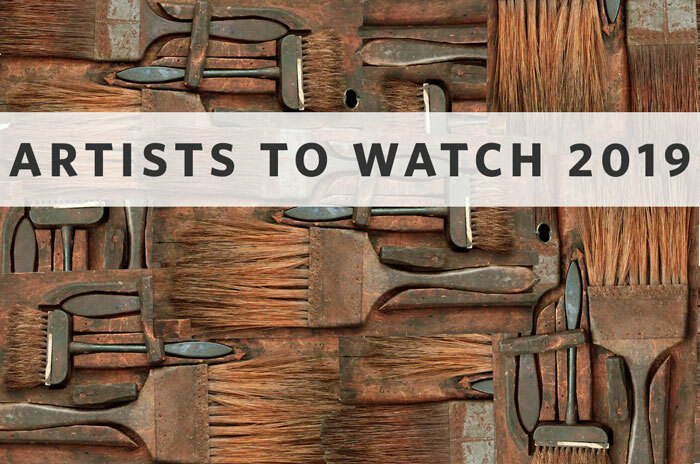 “Artists to Watch 2018” is a survey of contemporary Vermont artists that appears as special features in Vermont Art Guide #6 and #7 and in a two-part exhibition at the Vermont Arts Council. The effect is a multidimensional work with sophisticated color and a dynamic sense of motion. And still, the ample white space makes the painting feel light and airy. Tavelli-Abar started creating watercolors on folded paper in 2011 and as the years passed, her work has developed, evolved, and increased in size. 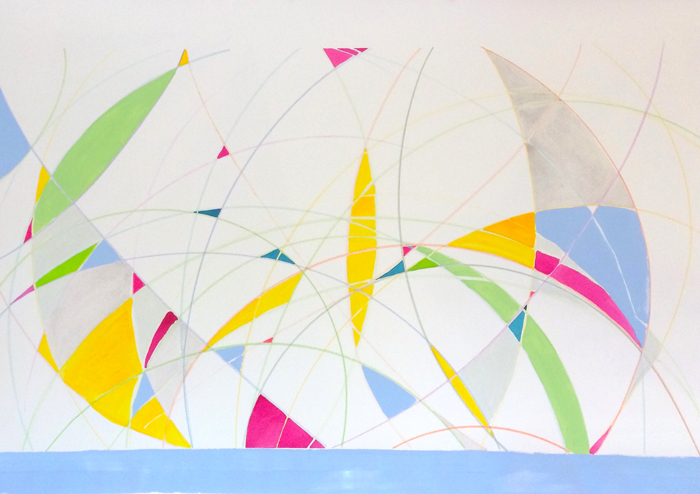 Her 2017 work explored curbed line, sphere, and the parabolic created when the two mix, mingle, and overlap. A soft blue bar feels like water in Breath in, Sail. Grey arcs ripple in a cacophony of lines and when they intersect spaces are formed. Some of these spaces become fields of color: goldenrod yellow, pinkish crimson, soft green, deep blue. 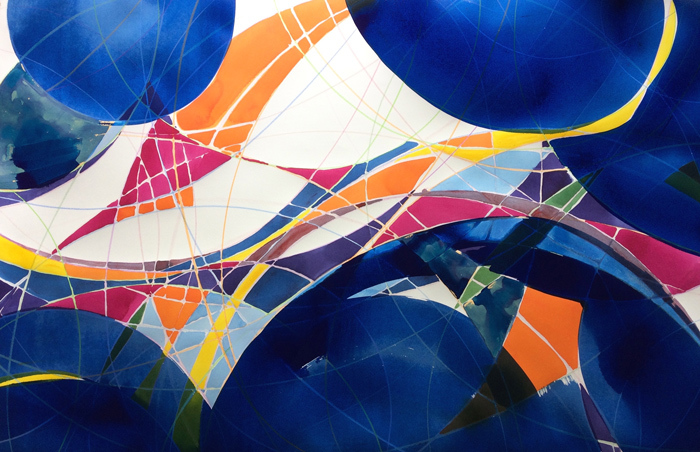 The total effect is a multidimensional work with sophisticated color and a dynamic sense of motion. And still, the ample white space makes the painting feel light and airy. Originally from the Valais region in the Swiss Alps, Caroline Tavelli-Abar moved to the U.S. in 1990 to explore her maternal roots. She earned a BA in Liberal Arts from Norwich University and Vermont College, during which time she also attended the drawing marathon at the New York Studio School of Drawing, Painting and Sculpture. After living in New York City for a time, she now calls Rochester, Vermont home and is deeply immersed in her creative work. Learn more about Tavelli-Abar’s work at www.carolinetavelli-abar.com. 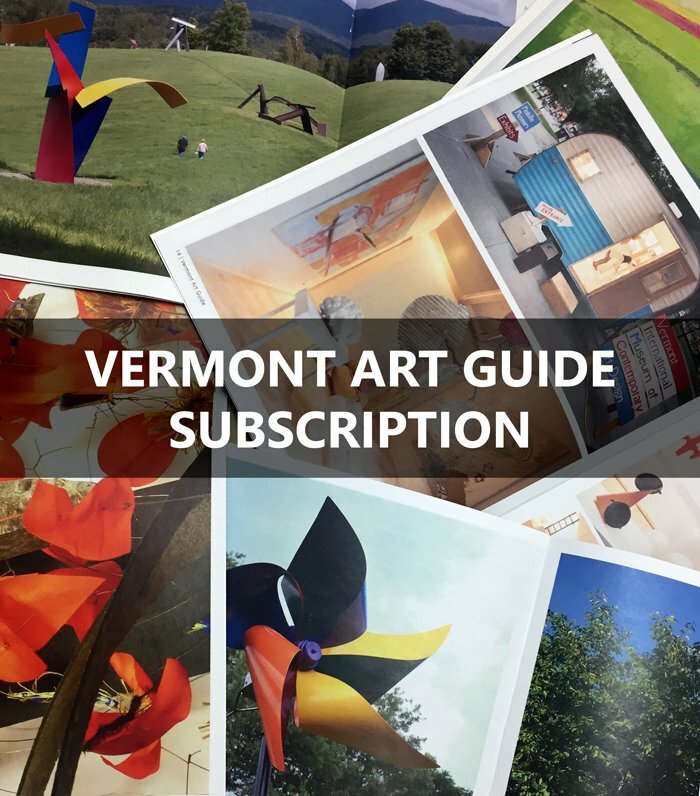 Kasini House and Vermont Art Guide will not share your contact information with any other party. Each email we send to you contains a link with which you can unsubscribe at any time. If you have any questions, CLICK HERE....to email. 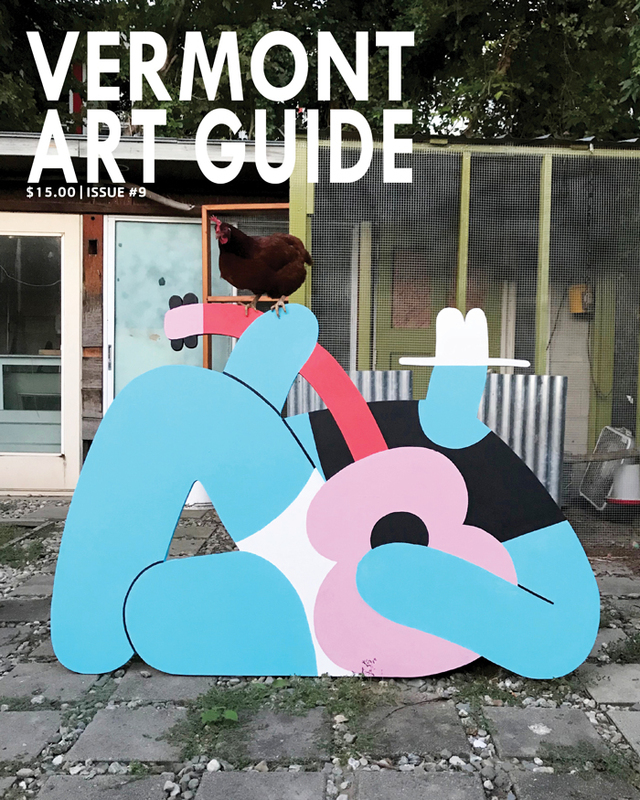 Copyright © 2019 Vermont Art Guide. All Rights Reserved.